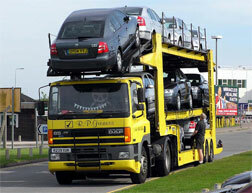 We offer vehicle shipping around the globe specializing in Northern Europe. Our normal ports are Rotterdam, Bremerhaven, Helsinki, Tallinn, Gothenburg and Södertälje . If your vehicle is in the continental United States of America, we can arrange pickup and transport to your desired destination. We are courteous, knowledgeable and ready to serve. Our reliable network of business partners in the United States, Europe and Finland make sure that your shipment arrives timely. Just contact us and ask what it will take to transport your small or large cargo, what is the total cost and how long is it going to take. You will need the original title of the vehicle and notarized export power of attorney for customs. The gas tank will need to be empty. This is a strict requirement by local authorities. Vehicles with fuel will be charged an additional fee due to the process of emptying the tank. Batteries need to be disconnected while vehicle is in the container. 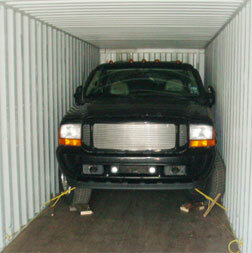 We will need to secure vehicle in the container to ensure no movement will occur during its voyage. 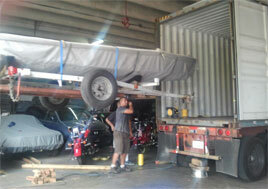 We offer final maintenance for your vehicle before loading it for shipment. Ask for details. Trans Atlantic Freight Forwarders, Inc.